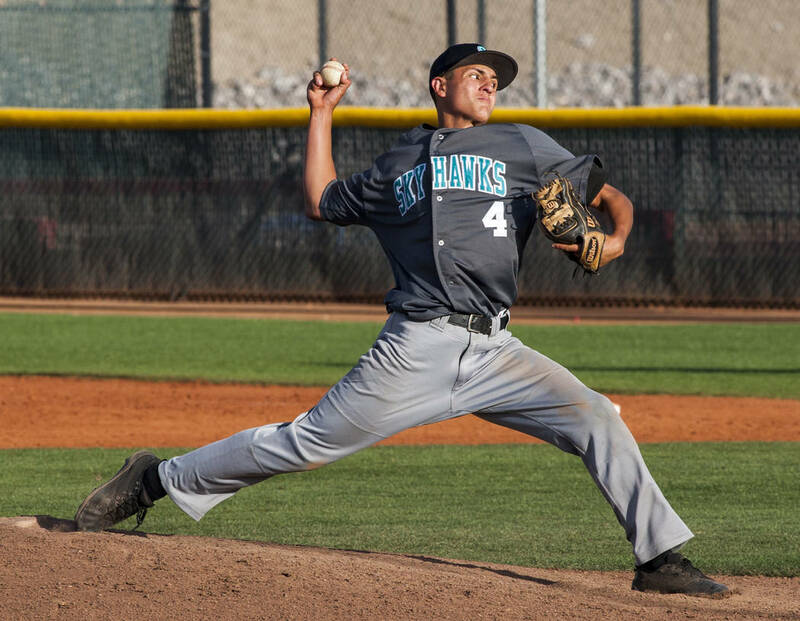 Joel Lindahl’s two-run single in the eighth inning Tuesday gave Las Vegas High a 4-3 home baseball win over Silverado. 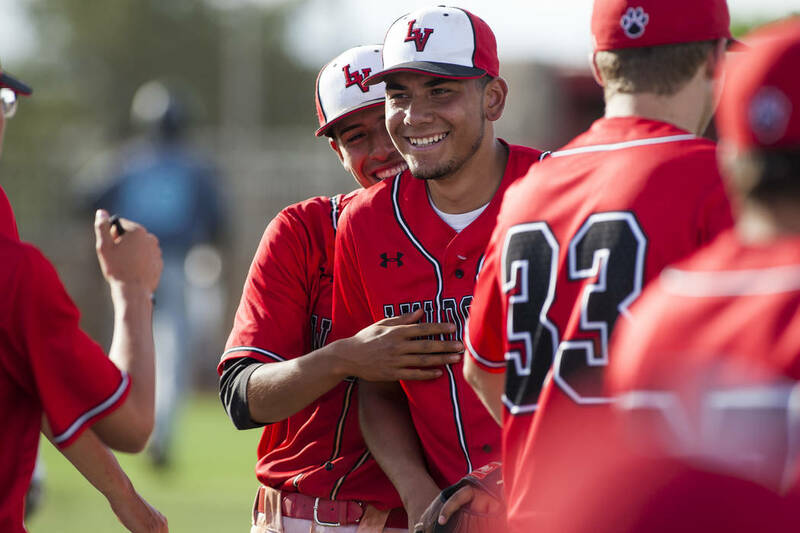 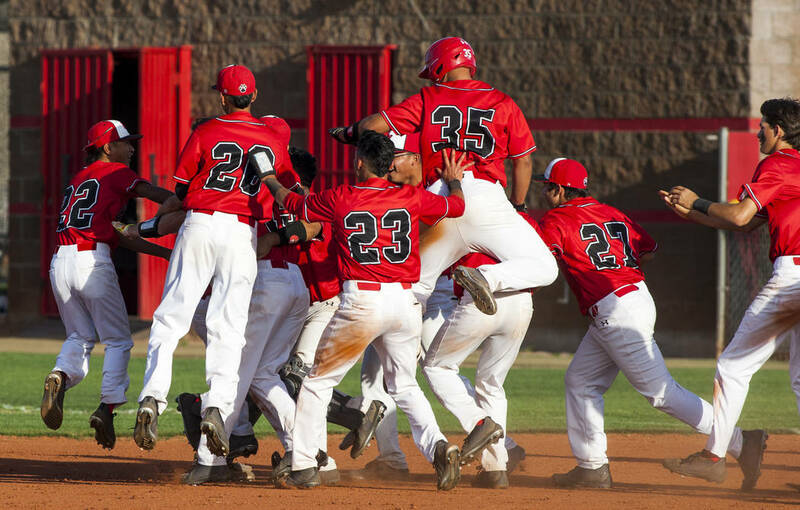 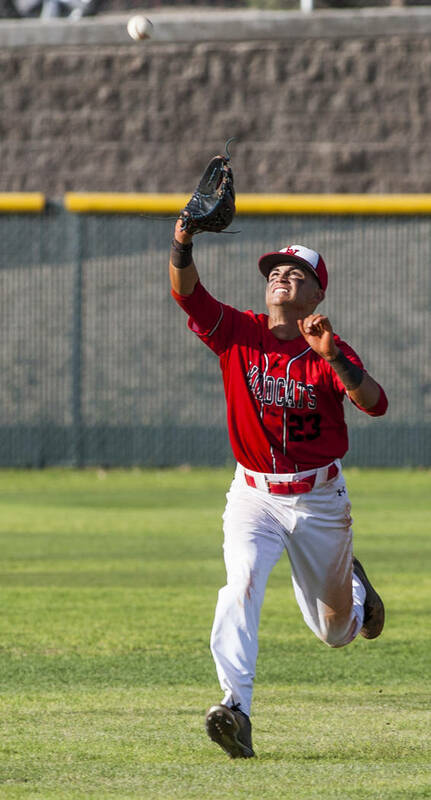 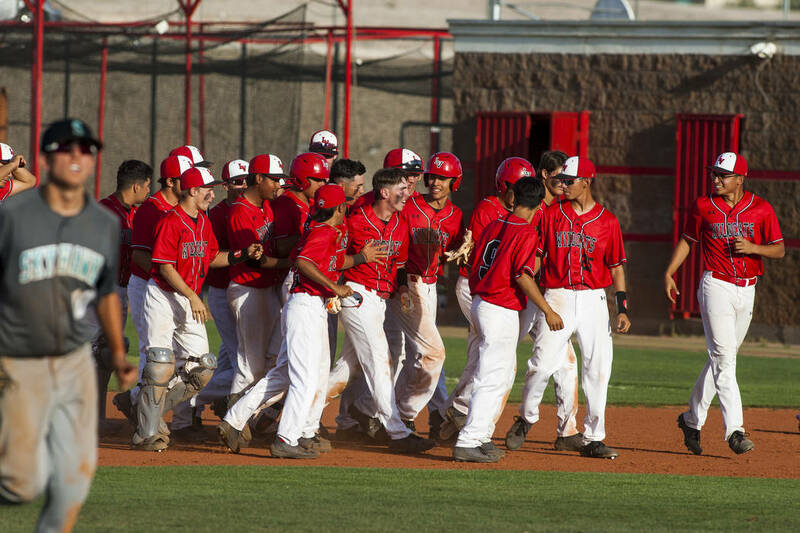 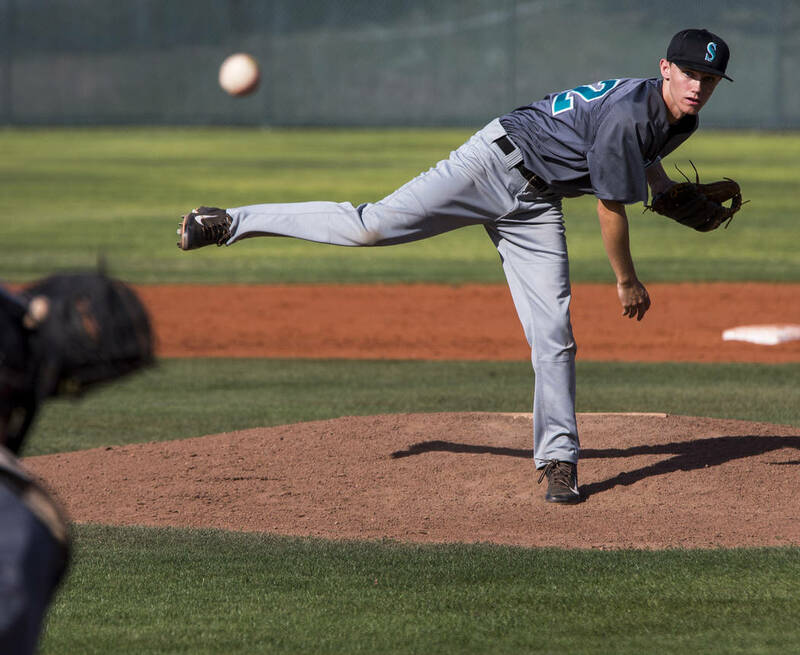 Las Vegas High baseball coach Sam Thomas thought freshman outfielder Joel Lindahl was trying too hard to make things happen, so he reminded him to enjoy the game. 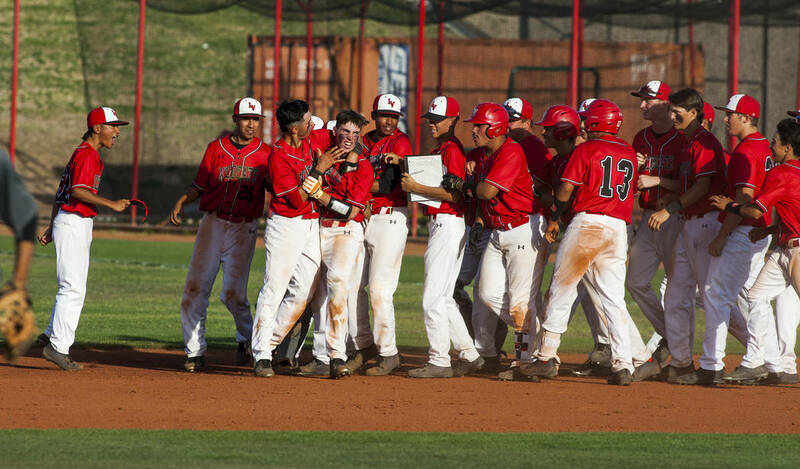 Lindahl’s two-run single in the eighth inning Tuesday gave the Wildcats a 4-3 home win over Silverado. 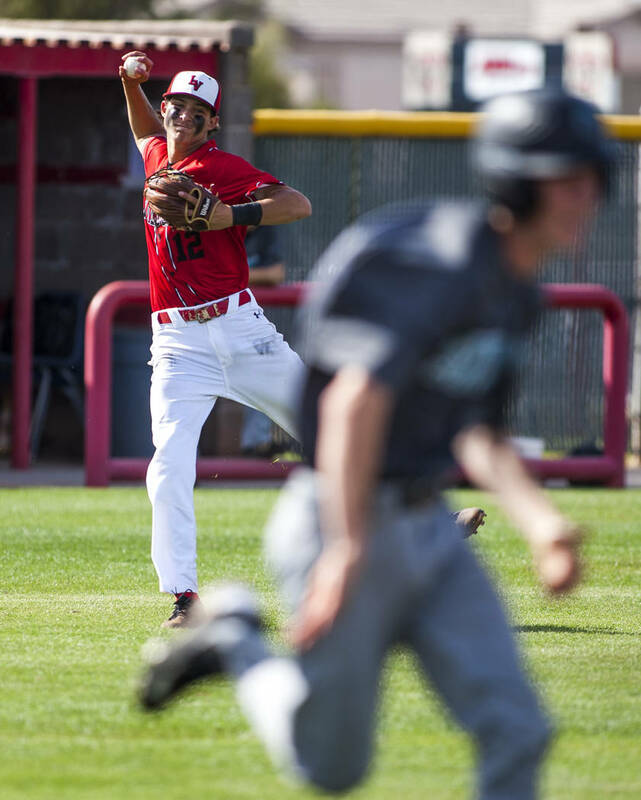 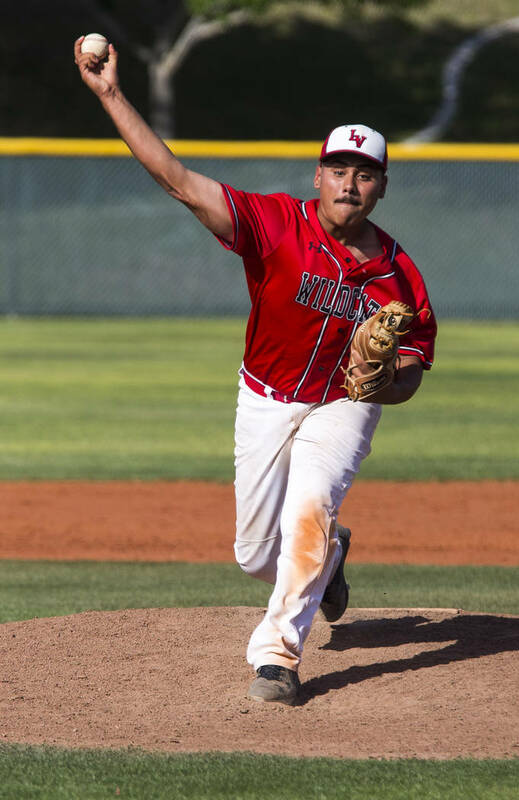 Silverado had taken the lead on an RBI double by Nikolas Cortez in the top of the eighth, but Las Vegas (10-8, 4-6 Sunrise League) rallied with two outs in the bottom of the inning. 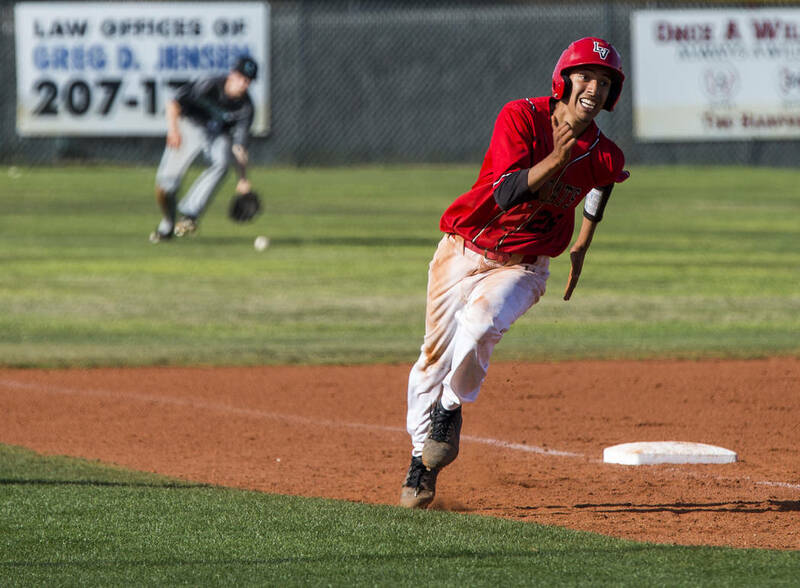 Oliver Haro-Reyes singled, and Jose Martinez and Kevin Verduzco walked to load the bases. 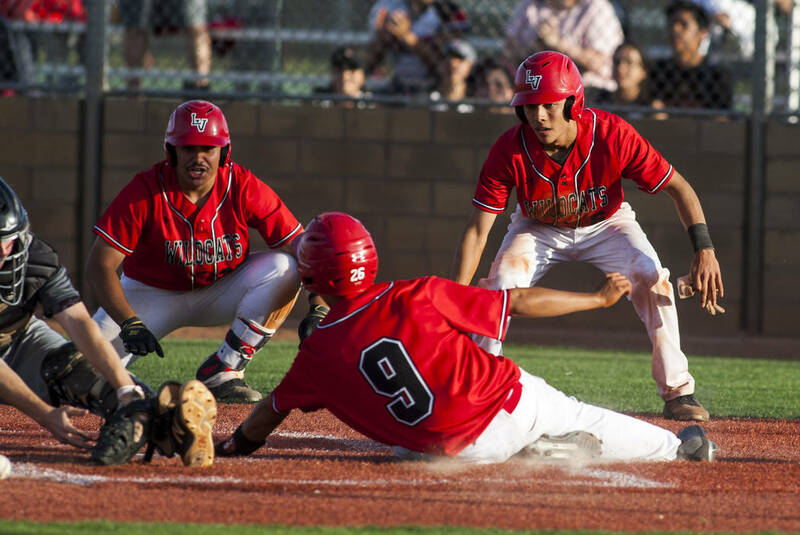 Lindahl then fouled off two two-strike pitches before lining a single to right field, and Martinez beat the throw to the plate with the winning run. 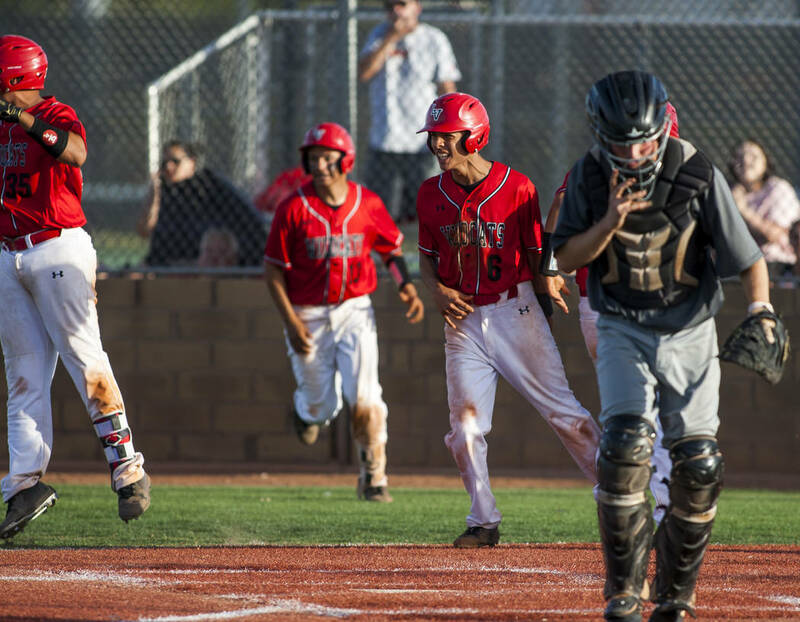 The Wildcats had a chance to win the game in the seventh after Silverado (6-10-1, 4-5) walked the bases loaded with no outs. 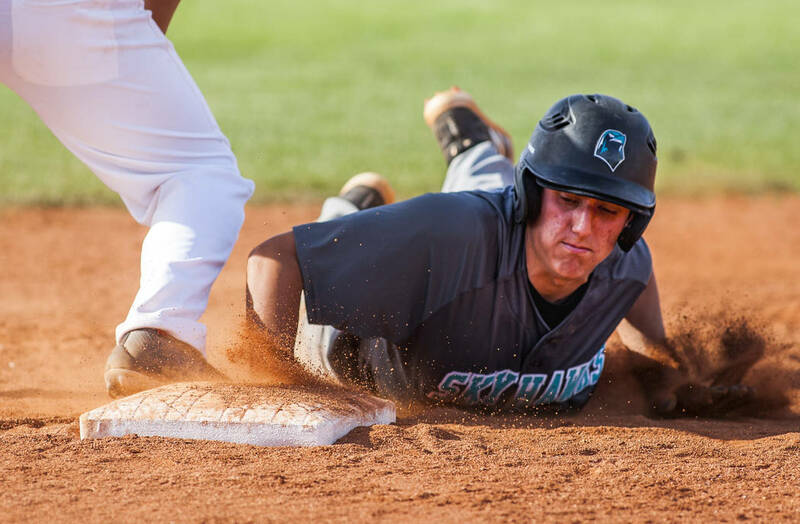 But Daniel Jimenez left first on a called strike that he thought was ball four, and Lindahl was forced to leave second base to avoid having two runners on the base. 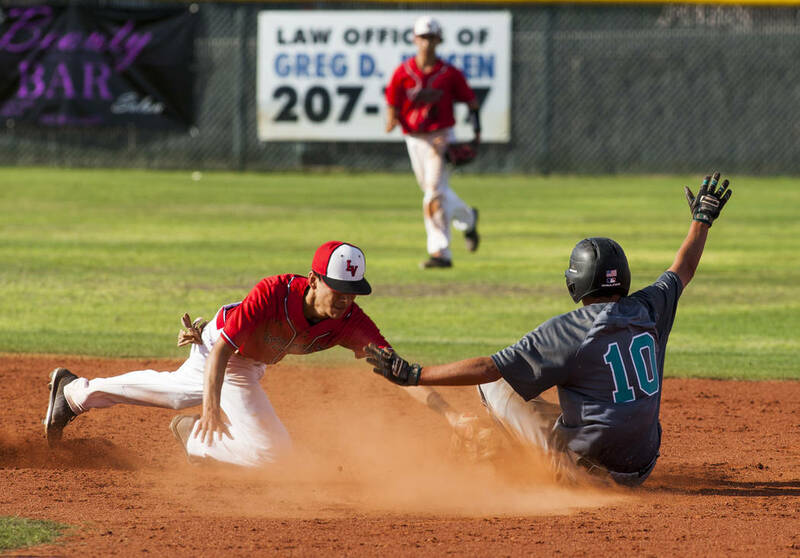 Lindahl was tagged out, and after a walk, Chris Cortez got Leonel Anaya to ground into an inning-ending double play. 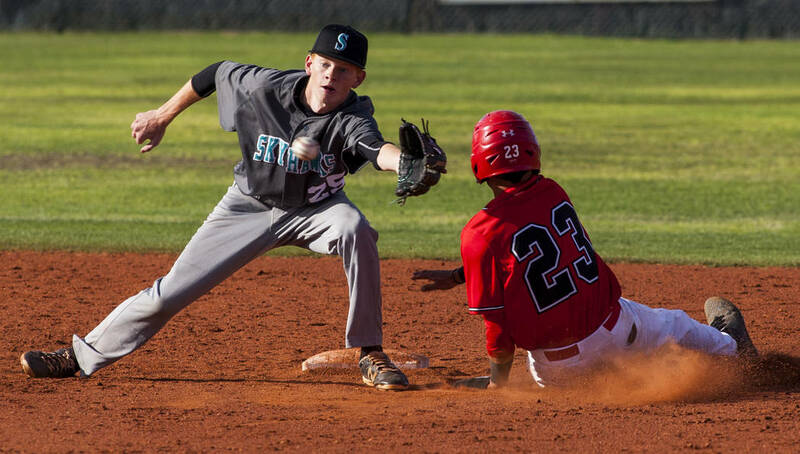 Lindahl was 3-for-4 for the Wildcats, who won their third consecutive Sunrise League game. 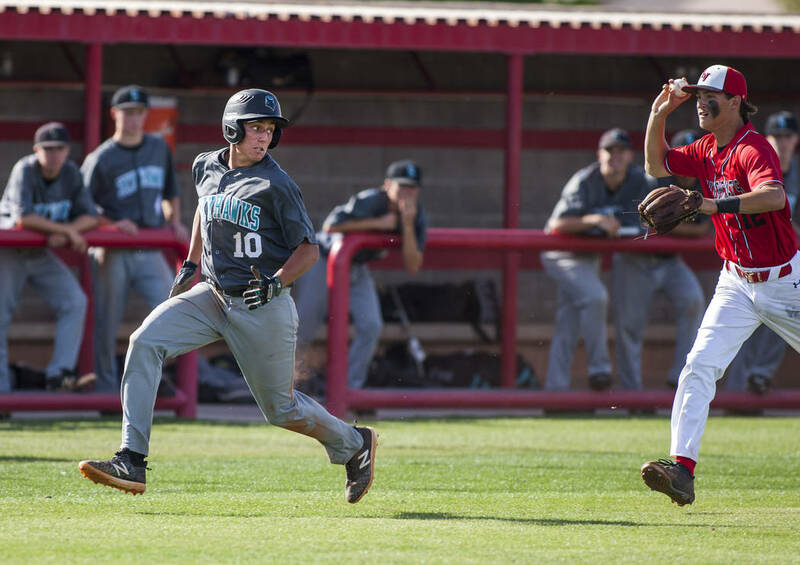 Caleb Hubbard was 3-for-4 with a double and a run, and Nikolas Cortez went 3-for-4 with a double and an RBI for Silverado.